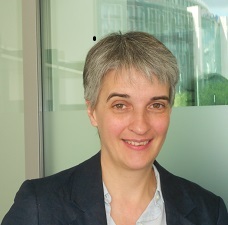 We are plea sed to announce that as of 1 July 2015 Professor Julia Schnabel will take up a new role as Chair of Computational Imaging at King’s College London. She will also take over Professor Schaeffter’s role as Director of the EPSRC Centre for Doctoral Training in Medical Imaging, jointly run between King’s and Imperial College London. Professor Schnabel joins us from the University of Oxford where she previously held the post of Professor of Engineering Science (Medical Imaging) at the Institute of Biomedical Engineering. Professor Schnabel said, “I am delighted to be joining the CDT as the new Director and will build on the great work that Professor Schaeffter has done this past year. I am looking forward to getting to know all of our students and allowing them to shape their learning to ensure that they get the most from their time here at the CDT”. As Director, she will be responsible for creating, maintaining, and improving the training programme offered by the Centre. With input from an advisory board including industry representatives, she will be responsible for setting the overall scientific strategy, determining the policies and procedures governing the Centre and deciding on directions for future activities. Professor Schnabel has attracted over £12m in funding over the past 8 years (£1m as PI), and has supervised 10 doctoral students to completion, who have been receiving a number of prestigious young investigator and doctoral thesis awards. She has co-/authored over 150 peer-reviewed publications, is an Associate Editor of IEEE Transactions on Medical Imaging and IEEE Transactions on Biomedical Engineering, a member of the Editorial Board of Medical Image Analysis, and has served on the programme committees of a number of international medical imaging conferences. She has been a Director of the 1st International Medical Imaging Summer School 2014, and has a keen interest in postgraduate training.